The US Department of Transportation has released new Federal guidance for automated vehicles, saying this advances its commitment to supporting the safe integration of automation into the broad multimodal surface transportation system. “The safe integration of automated vehicle technology into our transportation system will increase productivity, facilitate freight movement and create new types of jobs,” said Secretary Elaine L Chao. Stating that the Department will interpret and, consistent with all applicable notice and comment requirements, adapt the definitions of “driver” or “operator” as appropriate to recognise that such terms do not refer exclusively to a human, but may include an automated system. Identifying and supporting the development of automation-related voluntary standards developed through organisations and associations, which can be an effective non-regulatory means to advance the integration of automation technologies. The National Highway Traffic Safety Administration (NHTSA) will request public comment on a proposal to streamline and modernise the procedures it will follow when processing and deciding exemption petitions. The Federal Motor Carrier Safety Administration (FMCSA) will initiate an Advance Notice of Proposed Rule making to address automated vehicles, particularly to identify regulatory gaps, including in the areas of inspection, repair, and maintenance for ADS. 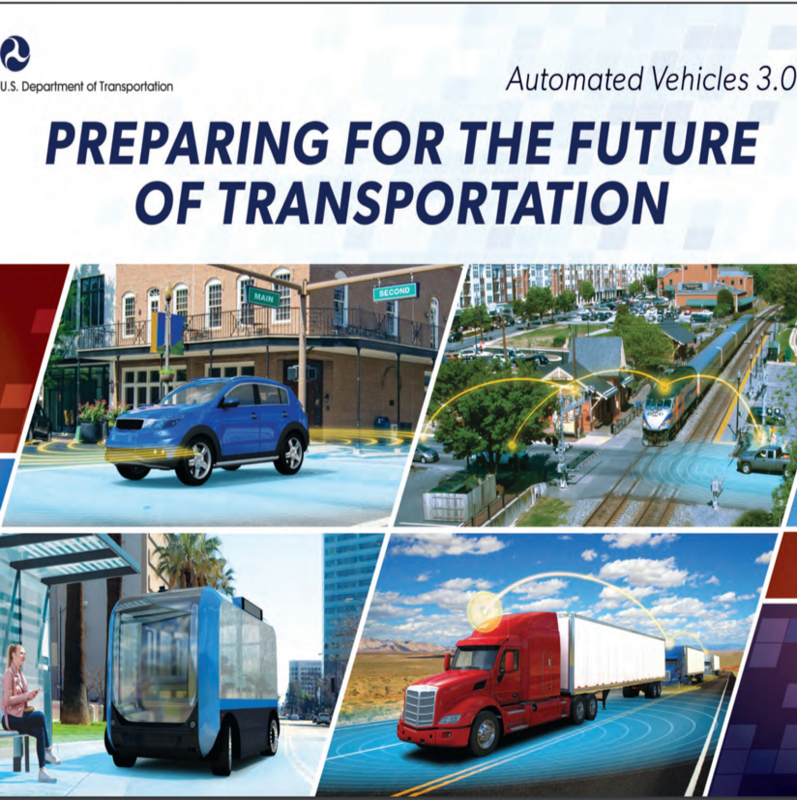 The Intelligent Transportation Society of America (ITS America) is encouraged by the US Department of Transportation’s support for V2X in “Preparing for the Future of Transportation: Automated Vehicles 3.0,” the guidance for automated driving systems. Vehicle-to-everything communications, known as V2X, allows vehicles to communicate with other vehicles, road users, and the infrastructure. Regardless of technology, preserving the safety spectrum (5.9 GHz band) to enable V2X communications is and should remain the top priority to support our shared goal of saving lives on U.S. roadways. In addition, the Department’s plan to update safety standards and streamline and modernise the exemption approval process for automated vehicles is a positive step forward. We also applaud the Department’s emphasis on not just ‘curb-to-curb’ but ‘door-to-door’ travel, which will allow people with disabilities and older adults more independence by providing better access to jobs, education and healthcare.